It must be an oversight: your comment isn't visible, even though ones submitted later are. 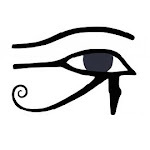 "We're running it as a follow up to Dr. Offit having been appointed to the IOM. " I believe JB Handley had undertaken not to write about Dr Offit again, ever since he lost that bet over the site Left Brain/Right Brain? By reposting it with this text as a lead-in, it seems to me that this undertaking is not being strictly respected. Please remove the post. 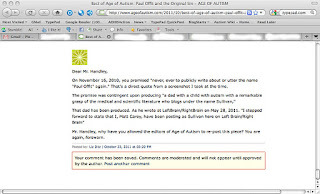 On November 16, 2010, you promised "never, ever to publicly write about or utter the name "Paul Offit" again." That's a direct quote from a screenshot I took at the time. The promise was contingent upon producing "a dad with a child with autism with a remarkable grasp of the medical and scientific literature who blogs under the name Sullivan,"
That dad has been produced. As he wrote at LeftBrain/RightBrain on May 28, 2011. 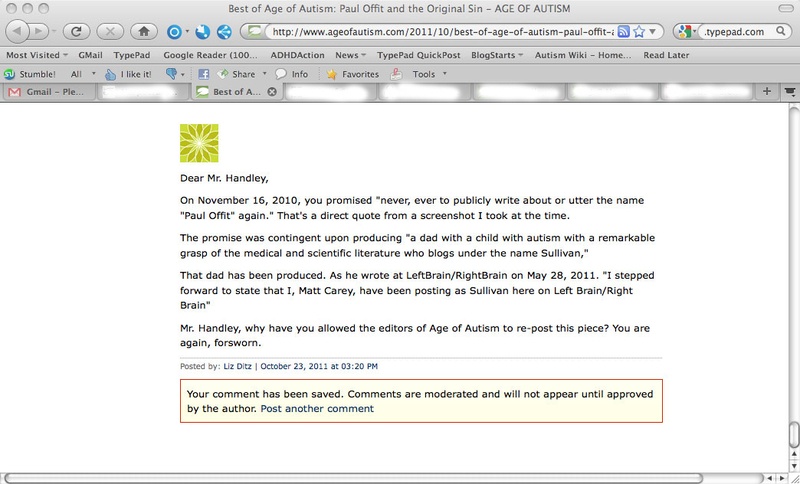 "I stepped forward to state that I, Matt Carey, have been posting as Sullivan here on Left Brain/Right Brain"
Mr. Handley, why have you allowed the editors of Age of Autism to re-post this piece? You are again, forsworn.